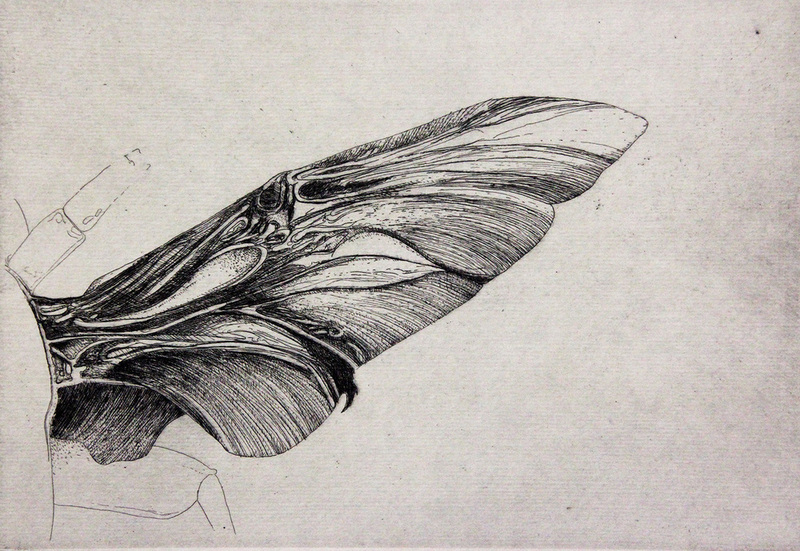 Every copy of CP14 includes one of 10 etchings by Evan Summer. Editioned at 100 prints each. 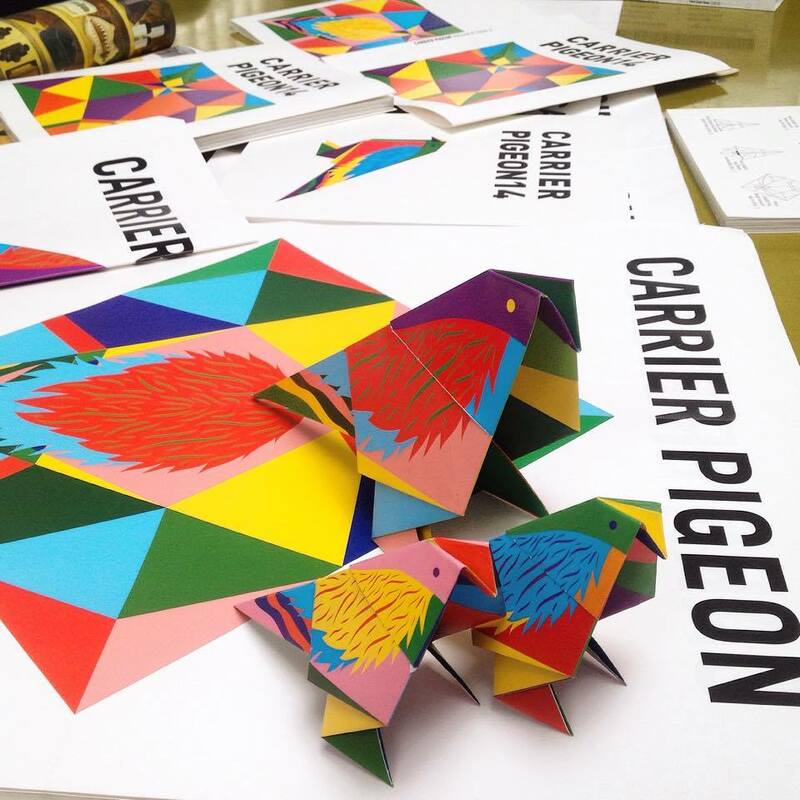 As well as a perforated origami dust jacket with a fold out poster that create 3 origami pigeons by artist and issue designer Andre da Loba. 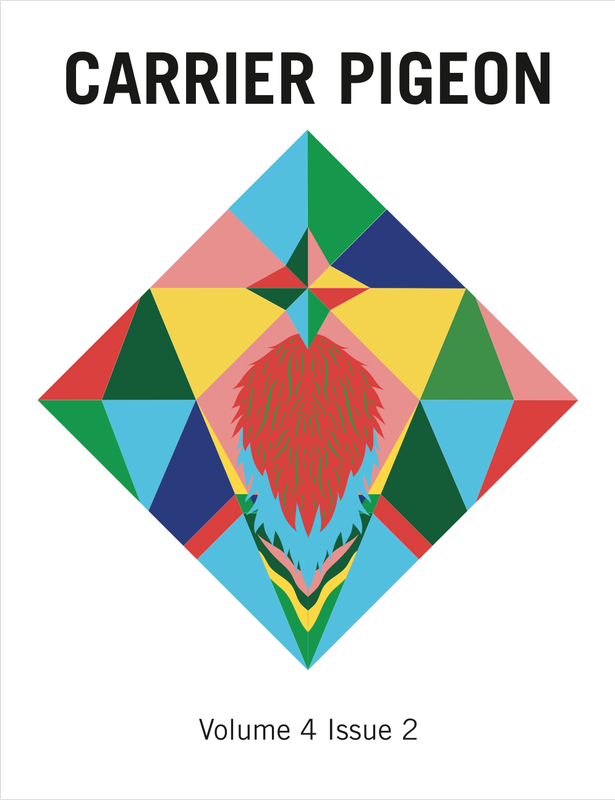 Carrier Pigeon is an artist-run magazine of illustrated fiction and fine art. Four times a year we put creative control into the hands of contributing writers, illustrators, fine artists, and designers in order to promote respectful interdisciplinary collaboration. The results are organic, collaborative, and quickly evolving compositions featured alongside full portfolios of contemporary work by fine artists from an unrestricted demographic range. We believe that loyalty to each artist’s personal vision, without regard to current trends, provides the best environment in which to collaborate on personal work. 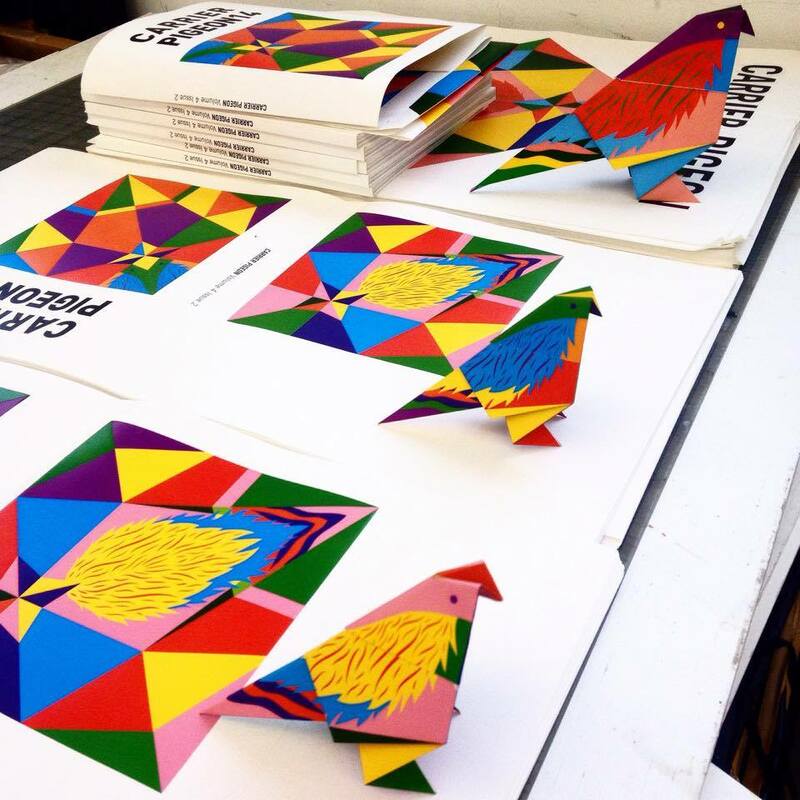 The main goal of this journal is to provide a magazine that is itself a piece of artwork.